We at SISGAIN work hard to create beautiful, functional B2B applications while improving their usability. We dig deep to find solutions that work for our clients’ specific situations, and we do that by creating user interfaces that are clean, intuitive, expandable and friendly. An application’s user interface (UI) plays an important role in the overall experience it offers its users. We known to be as a best UI/UX design companies and know that the relationship between UI and UX is a highly complimentary one in which both form and function work together to deliver an integrated, seamless experience. At SISGAIN, we’ve invested heavily in our in-house capabilities to be a full-service best UI design agency for today’s most demanding clients. Our process begins with developing a comprehensive set of creative guidelines setting forth the design patterns and color palettes, fonts, layout structure and other technical and aesthetic considerations for your project. Working from this master document, we ensure all UI work is consistent, intuitive and functional, and delivers a strong return on your investment through increased usability. 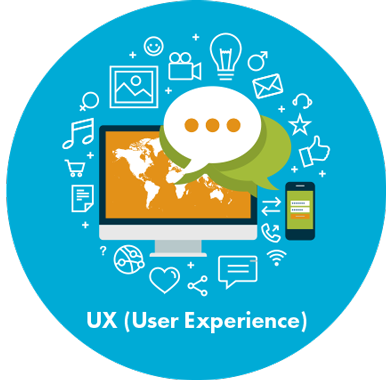 There is a fundamental difference between UI (user interface) and UX (user experience). Your user experience goal should be what you want the visitor to accomplish while browsing your site, and your site design should allow them to easily navigate to that final location. You must properly define what these goals are ahead of time so that you can most effectively design your user interface. Quick-loading pages and the fastest path from your entry point to conversion are great, but they may leave something to be desired in your overall design. 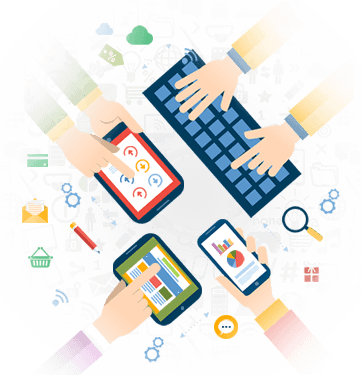 We follow only latest methodology which is the key for building successful UI/UX Design Solution.